Sinead Condon and Kevin Mackie of CA Technologies discuss the tremendous impacts on agility, innovation, and success that taking a facilitative approach to leadership provides. The Leadership Strategies methodology of taking a facilitative approach is taught in our workshop, The Facilitative Leader. Click here to learn more about The Facilitative Leader workshop, which can be brought onsite to your organization, and is taught in major cities around the U.S.
Read Victoria’s full testimonial here. Paula Liotine – Process Improvement Project Leader, American Fidelity Assurance Co.
Read Steve’s full testimonial here. Click here to watch Mike share his testimonial. Click here to watch Nancy share her testimonial. Click here to watch Carolina share her testimonial. Jack Farris and his team at Tenth and Blake, the craft and import division of MillerCoors, completed a private, custom training in The Effective Facilitator and The Facilitative Consultant. Trevor Hubert – Director, Corporate Training and Development, Investors Group Inc.
Read more about Rob’s testimonial. Nicky shared this comment after completing the four-day training course, The Effective Facilitator. What does success look like? At Leadership Strategies, our success is measured by yours. See how others describe success and how they achieved it. Regardless of your organization, industry, or discipline, your success is important. Real people, real leaders – just like you – have turned to Leadership Strategies to solve chronic problems and bring change that delivers impressive results for high-performing individuals and teams. Any investment, large or small, demands results. Our clients have shared with us that investing in facilitation training from Leadership Strategies results in – not only noticeable improvement in meeting results and organizational engagement – but clear improvements to the bottom line. Where does Leadership Strategies stand? We let our clients tell us. The Net Promoter Score (NPS) is a customer loyalty metric used by many large companies across all industries to measure the willingness of clients to recommend a product or service to others. 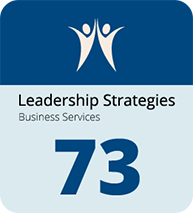 At Leadership Strategies, we consistently ask our clients the one defining question, “How likely is it that you would recommend Leadership Strategies to a friend or colleague?” The overwhelming answer – very likely – based on our Net Promoter Score. A Harvard Business Review study shared on HubSpot shows that many industries have a Net Promoter Score below 50. (See graph below.) 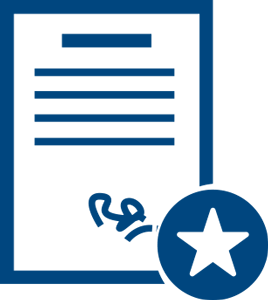 In a recent study of large companies, USAA-Banking received the highest rating, 83%. See the original and learn more about Net Promotor Scores here. Since 1992, Leadership Strategies has been sharing the power of facilitation with the world! We would like to share the 20+ years of great success stories we’ve witnessed, including yours. Please tell us how facilitation has empowered you or how you’ve been able to empower others though facilitation.